Our first expansion pack to Ashes of the Singularity is out and people like it! They really like it! 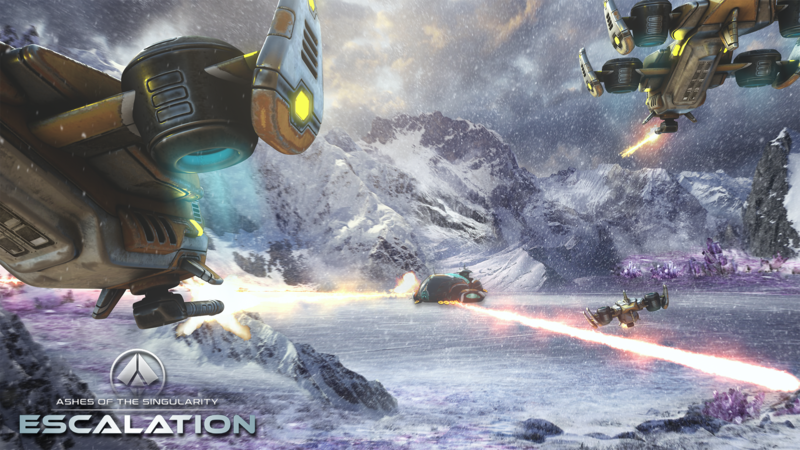 During development of Escalation a number of good ideas came up but we didn’t have time to get them in before release. 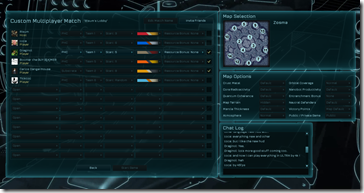 The new features will be integrated into version 1.5 of Ashes of the Singularity (the base game). As I write this, Escalation is sitting at an 82 on metacritic with a 90 from GamingTrend, an 85 from GameWatcher and an 81 from IGN. We expect to have the German, Italian, French, Portuguese language versions in within the next few weeks. 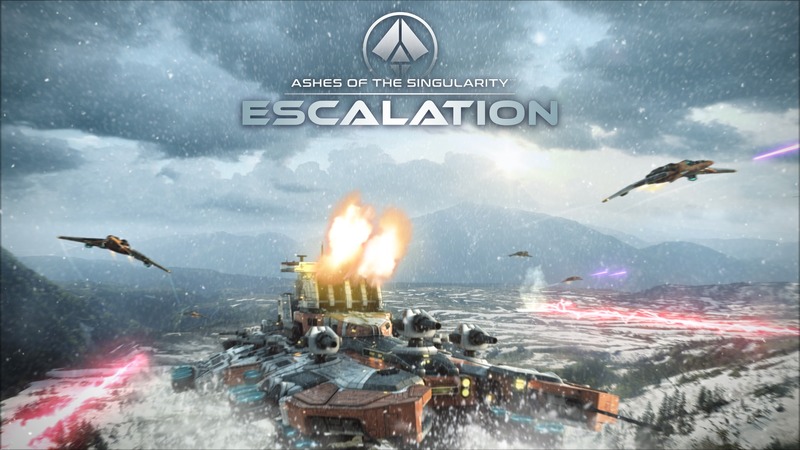 Q: Do you have to have Ashes of the Singularity to get Escalation? A: No. It’s a stand-alone expansion. It lists for $39.99 for new players and $19.99 for existing Ashes of the Singularity players. Q: Does this mean that the base game won’t be updated anymore? A: No. We expect to release v1.45 for the base game within the next couple of days and new features and content we create will generally be available for all versions of Ashes of the Singularity. The base game will continue to receive new DLC, new features, etc. Q: I don’t have either Ashes or Escalation, which should I get? 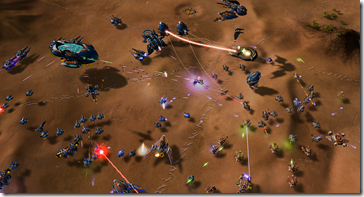 A: Ashes of the Singularity targets everyone. Escalation targets RTS veterans specifically. Q: Are there any new units coming out for free? A: Yes, we are working on two new Dreadnoughts that will be added to the game along with a few surprise new units early next year. Q: I’d like to see new races? A: They are planned. The Escalation campaign infers the existence of two more races that we hope to join us in the game. Q: Will I have to have Escalation to get these new races? 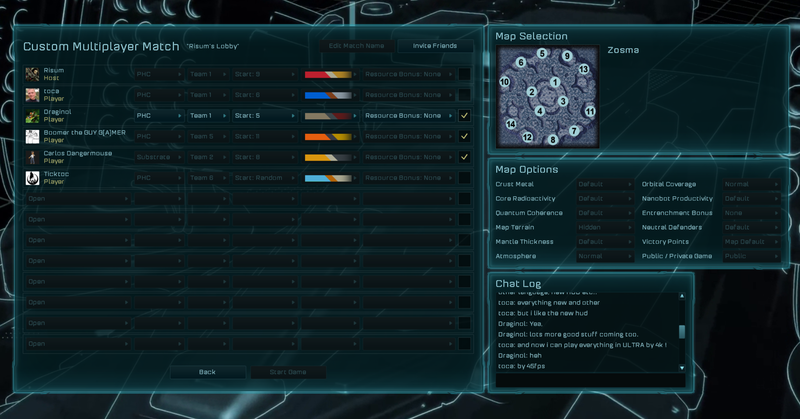 A: Our long-term plan is to turn Ashes of the Singularity into a platform for people to make their own games with. Much of that will require time and more tools to be made. You can already do a lot with the game as is (see the modding guide) but our explicit goal is that a customer could use Ashes to remake Total Annihilation or Supreme Commander or any number of RTS games in the future. This won’t happen overnight but that’s our goal. While most people will play Escalation as a strictly single-player game, we are putting a lot of effort into improving the multiplayer game as well. We include a save game feature (and autosave) in the event that there are connection problems the game can be reformed and continued. But there is a lot more we can still do to make multiplayer really fun. Where should I go to learn more? Escalation is probably the best stardock game I've played. 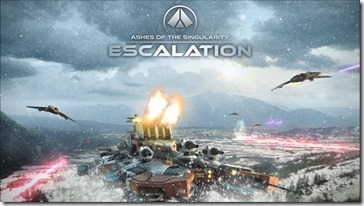 I've always had a love/hate relationship with Stardock games and even Ashes too, but Escalation took it forward enough that I feel like I'm not playing an incomplete game. Glad I paid for the founders package. Congratulation keep the updates coming. Congrats guys, long may it continue. Btw why not use some of those pictures as different load screens for matches in Ashes? I'm not surprised it's a hit, every match (game) I've played has been epic (both the wins and looses) and Escalation is such an improvement so congratulations and it's well deserved you've done a great job, really you and the dev team have. 2 more races? That sounds good, I must admit I've never play substrate, and I've been part of the game since alpha (base game). Hopefully the new race(s) will be something I can get on with and warm up to. Glad to hear multiplayer is getting some love again, myself and 3 other friends play multiplayer (custom match) and I would like to see region gifting put into that like in single player. I really think you should be looking at adding more co-op modes (like king of the hill), I think exclusive co-op play modes (or added to options) would be a massive hit that would really go down well with people. Anyway, again, congratulations and job well done. Escalation is already awesome, and your plans for it will easily make it one of the best purchases I've made in recent memory. Keep up the fantastic work.